Amino acids are the building blocks of protein, which your body needs to build muscles, repair organs, create hemoglobin and support the immune system. When you consume protein, your digestive system breaks down the protein into amino acids used throughout your body. There are 22 amino acids, nine of which you must consume through diet, because your body can't make those essential amino acids. Even vegetarians can get all the amino acids they need through proper nutrition. According to KidsHealth, the recommended daily intake of protein is 0.5 grams per pound of body weight, so a 150-pound person requires 75 grams of protein each day. You can consume an adequate amount of protein and get all the essential amino acids while following a vegetarian diet. The key is to eat a variety of foods daily. Plant protein sources include nuts, lentils and beans. 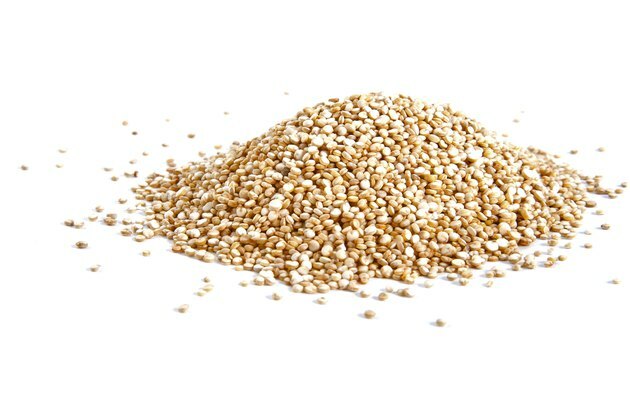 Soybeans and quinoa both contain all nine essential amino acids. You don't have to consume all the amino acids in one meal, as long as you eat a variety of foods throughout the day to provide all the necessary amino acids. Eating Well: Can I Get Enough Protein If I Eat a Vegetarian Diet?